Our Optometry office has been running this promotion for a couple of years now and when our patients speak we listen! We've been told by our loyal patients to make this promo public so here you are. In the past we would send out a postcard to our patients letting them know that on their birthday month they could come in and get 30% off on their glasses (sunglasses or regular). This promo would require that they bring the card in, we would log it, apply it to the purchase, etc. but now we just look it up in the computer and offer it to all of our patients that come in. So, during your birthday month come in and get 30% off your purchase of glasses or sunglasses. Sorry this can't be applied to insurances, but if your benefits have already used up, stop on by and this is a great way for you to treat your self on your special month. 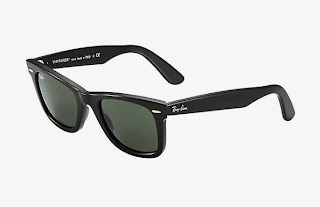 As a side note, we actually just got an order from Ray Ban in preparation for the holiday season.